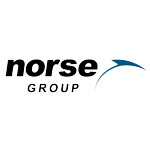 Norse Group is one of the UK’s most dynamic and fast-growing companies, built on a foundation of joint ventures with Local Government partners, consistently delivering award winning services across a range of disciplines throughout the UK. We are currently recruiting an experienced Head of Health & Safety to join our established SHEQ team in Norwich, providing full strategy and compliance support across the group in regards to Health & Safety. The role will require you to work closely with the SHEQ Director and wider business to promote Health & Safety initiatives, ensuring compliance with all relevant regulations. You will build strong relationships with internal and external stakeholders, working collaboratively to ensure Health & Safety regulations are adhered to as we deliver group services. You will be responsible for ensuring that Health & Safety integrates with other compliances services by working together with the quality and environmental team. This position will require you to demonstrate your extensive experience in Health & Safety, as you will lead on a multitude of tasks including; management of the H&S team, risk identification and management, Health & Safety presentations and accident investigations. NEBOSH National Diploma in Occupational Health & Safety. Proven experience in a senior Health & Safety role in a multisite organisation. Proven experience in direct line management of staff. Excellent stakeholder engagement with the ability to develop and maintain internal and external working relationships. Strong leadership skills, self-motivated with the ability to lead and motivate others. Ability to prepare precise written documents, overcome objections and proactively action outcomes. Alongside the detailed salary, we offer a number of wider benefits including; 25 days holiday, plus 8 bank holiday days, 5% Company Pension on top of 5% NEST Pension, and a full sickness scheme. The role will be based at our Norwich office, however the role requires travel to multiple sites, therefore a driving licence is essential.